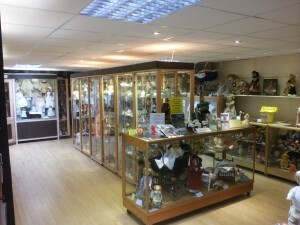 Since the Dolls Collection opening in 1971, more dolls have been collected and added. There are many old and interesting dolls to be seen, which come from many different periods, and many are in their original clothes. Old dolls can be compared with those from the second half of the 20th century to provide a fascinating contrast. There are Artists’ and Fashion Dolls and a unique collection of 20 “Sasha” Dolls in 1913 period dress, and the Bristol Red Cross Dolls.